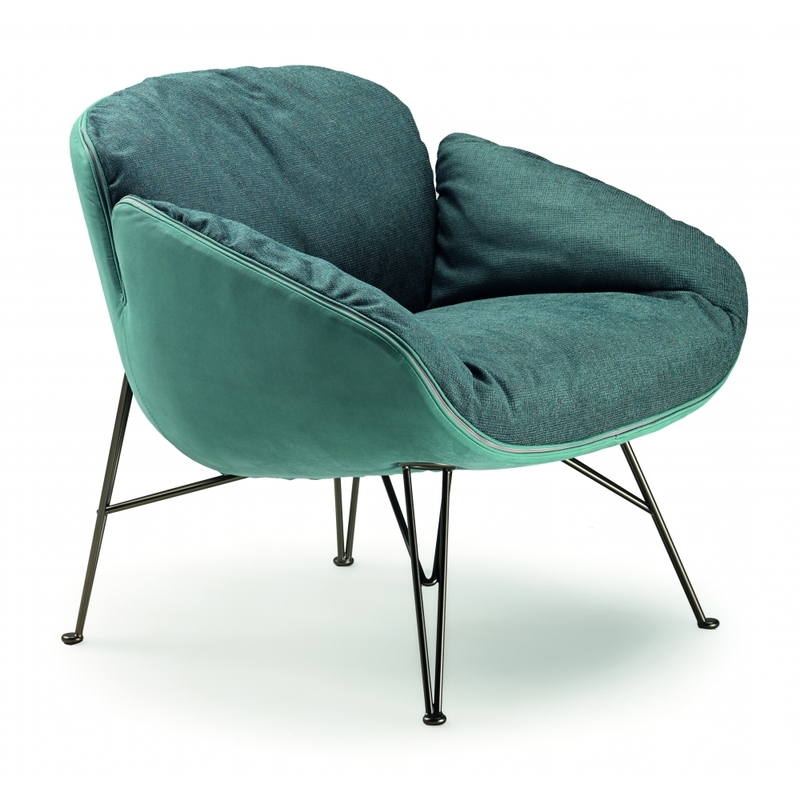 Designed by Mauro Lipparini, the Juno is a luxuriously comfortable and stylish easy chair, with the feel of the classic Eiffel chair in its wire legs. The smooth, cupped structure is available in a wide choice of finishes and supports the goose down and polyester filled seat cushions. Please contact us for pricing on other finishes - priced here for Arketipo's Cat D fabric range.